Coming up with ideas about how to start a window cleaning businesscan be a challenge. Many people around the world are considering self-employment ventures. Cleaning is an essential part of living. The cleaning industry is a good investment and will never depreciate. The first step to getting your window cleaning business off the ground is to develop a business name. Name your business something easy to remember. Also, word of mouth referrals are essential to any business. Eight tips on how to start a window cleaning business. 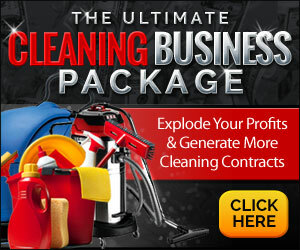 Learn how to start a window cleaning business and profit from this booming market! (1)Select the name of your business. Make sure the name you pick has not been registered to any other businesses in your area. (2) Register the name of your new company with the County Clerk’s office. You may either file as a Sole Proprietor or a Limited Liability Company. The County Clerk will advise you on the filing procedures. The County Clerk will also ensure the name has not been secured by any other company. (3) Build a new window cleaning website. Include any specialty services that you provide. Most people access the Internet to select reputable cleaning companies. Internet advertising is also a cost-effective way to get the word out about your new business. (4) Open a business checking account. You may research different banks on the Internet to assess their business account options. Many banks provide small business checking accounts that do not require you to maintain certain balances to avoid monthly fees. Opening a business account will also establish credit for you in the future. Most banks provide business loans. (5) Invest in a good business card. Your business card says everything about your company. The design is important. Exchanging business cards is the first thing you do when advertising your company with future clients. You want to make a powerful statement to your prospective clients. Your business card represents your company and it is a reflection of you. Make sure it is professionally done. Don’t spare expense in this area. (6) Get your business insurance. You may want to carry liability insurance in your business. This insurance will protect you in the event someone gets hurt due to your neglect. Getting bonded will give you a better chance of securing high profile clients. This will protect you in the event of a theft. By being insured and bonded will increase your potential in the expansion of your business. (7) Depending on your business budget, you may want to advertise in the Yellow Pages. Yellow Page ads are invoiced on a yearly basis. There are still many people that utilize the Yellow Pages when comparing different companies. Think of a catchy cleaning phrase to incorporate with your ad. You want the ad to pop out at prospective clientele. (8) Advertise on Craigslist. There is a wide variety of business listings on Craigslist. This is a popular site to go to when locating certain items or services. An assortment of businesses of all types advertise on this site. For more information about how to start a window cleaning business, research some similar businesses that are successful. You will find that many business owners are happy to share their ideas about how to start a window cleaning business. You may want to purchase training courses for teaching yourself how to start a window cleaning business, manage and operate it. We highly suggest that you start with this one. You may also find it useful to read our own how to start a cleaning business guide, it’s very detailed and it will definitely help you out in your first steps. Cleaning Contracts. How to get Cleaning Contracts. Janitorial Bidding Software. Automate and Maximize Profit. Cleaning Business Logos. Ideas and How To Get Your Own! Nicole weigel on Cleaning Business Logos. Ideas and How To Get Your Own! Office Cleaning Business. Start your own. Copyright © 2012 howtostart-acleaningbusiness.com. All rights reserved. Do not copy.